Welcome to Mosquito Squad Chicago. Effective mosquito control is now a reality thanks to Mosquito Squad, the mosquito exterminator. We offer convenient, effective and affordable mosquito control solutions for homes, businesses and municipalities. In addition, we can control a variety of outdoor pests including ticks, fleas, gnats, flies, and wasps. We back each treatment with our no hassle, money back guarantee. You should be enjoying the outside of your home, having backyard picnics with family and friends. Mosquitos and other outdoor pests can be a nuisance and can make you feel like a prisoner in your own house. Not only can these pests be bothersome and disruptive to outdoor fun, mosquitos and ticks can also pose serious risks to your health and the health of your pets. Let Mosquito Squad Chicago eliminate the threats to your health and family fun time. Pests are an annoyance! They persistently and systematically invade your home looking for food, water and shelter. Once indoors they pose serious health risks to you and your family and can damage your most valuable investment. 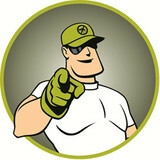 After being in the pest control service industry for years, we decided to break the mold. We decided that our true value to our customers was summarized in two words: green and clean. With that vision in mind, we started Ecoshield Pest Control to give consumers the chance to experience the bliss of pest-free living in a safe, effective, and convenient manner! Unlike some pest exterminators, Ecoshield’s Home Protection Plan combines the most innovative pest management methods and the safest products to drive pests out and keep them out for good! We provide a free pest inspection for your convenience as well. 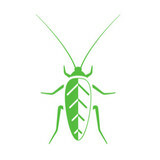 At Ecoshield, we understand: It’s good to be bug free. Fox Pest Control is the trusted name in Schaumburg Area for residential and commercial pest control. When you call Fox Pest Control you're calling a locally owned and operated business in Schaumburg Area. Our goal isn't to just eradicate your pests for good, it's to ensure you have a great experience working with a pest control company. We value our reputation and work hard to earn your trust. We have over 6 years' experience and have helped over 20,000 Schaumburg Area homes and businesses exterminate and control their pest problems. Do you have a pest problem in Schaumburg Area? 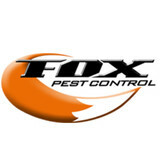 Call Fox Pest Control today for a free inspection and zero obligation estimate or get service within 4 hours. 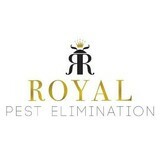 Royal Pest Elimination, LLC is a pest control contractor / exterminator serving the Chicago Lawn, IL area. Services include Pest Control, Bedbug Extermination, Commercial Pest Control, Insects & Spiders, Ant Extermination, Bee Control, Hornet & Wasp Control, Centipedes & Millipedes, Cockroach Extermination, Mice & Rat Control, Fire Ants, Flea Removal and Rodent Exclusion. Our company is family owned and operated. We were founded in 2004 with the goal of providing exceptional pest service at affordable prices for clients both big and small. When you have a pest problem this is the place to get it solved fast, safe, and at a great value. Extreme Bedbug Extermination is a pest control contractor / exterminator, specializing in bedbug extermination, serving the Chicago, IL area since 2006. Services include Pest Control, Bedbug Extermination, Commercial Pest Control, Cockroach Extermination, Hornet & Wasp Control, Bee Control, Insects & Spiders, Centipedes & Millipedes, Mosquitoes & Ticks and Ant Extermination. Pure Tech Pest Control Services, Inc.
Our business is our livelihood but it is also so much more. Berry & Yates Pest Control was started to fill in a void in the current market and to make a business that people can place their trust in. Over the years we have never lost our commitment to our clients and that is what has allowed us to succeed in a very competitive industry. The employees of Berry & Yates Pest Control stand committed to our purpose and will provide the best service! DRACC Mosquito Control, Inc. is available for all your mosquito needs in Illinois and Indiana. We offer residential, municipal and commercial programs and assistance. So whether you need mosquito control for the season or just so you can enjoy an event, we are here for you! We offer competitive pricing and have superior technical and administrative support for you. We offer complimentary assessments and strive to meet your scheduling needs. Pest control is more than exterminating unwanted pests and nuisances from a home, school or business. Its about gaining the trust of the customer and exceeding their expectations. We follow through with the precise action we promised our clients. We are a pest control service geared towards providing customers with extraordinary service. Our mindset and intentions are parallel to the happiness you will receive from our service. We provide solutions for your residential and commercial Pest Control needs. Whether you are experiencing continuous problems with a particular insect, or seasonal problems with rodents. 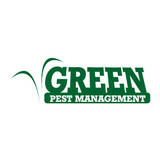 We can take care of your pest problems, often times with one visit. If follow up treatments are required within three month's of the initial visit, they will be performed at a discounted rate. Unwanted guests are never fun, especially when you can’t ask them to leave. Luckily, Saint John pest control companies have no problem kicking them out. Whether there’s a rodent in your basement or insects in the attic, call your local Saint John exterminator to take care of them — do not try to wrangle them out yourself! Not sure which type of home pest control service in Saint John, IN can tackle your issue? Read profiles and ask about their past experiences to get a good idea.